A women's circle for those who want to deepen their self-understanding and connection with others. Each session includes meditation and restorative yoga. To initiate each session, we will engage in a meditation practice. 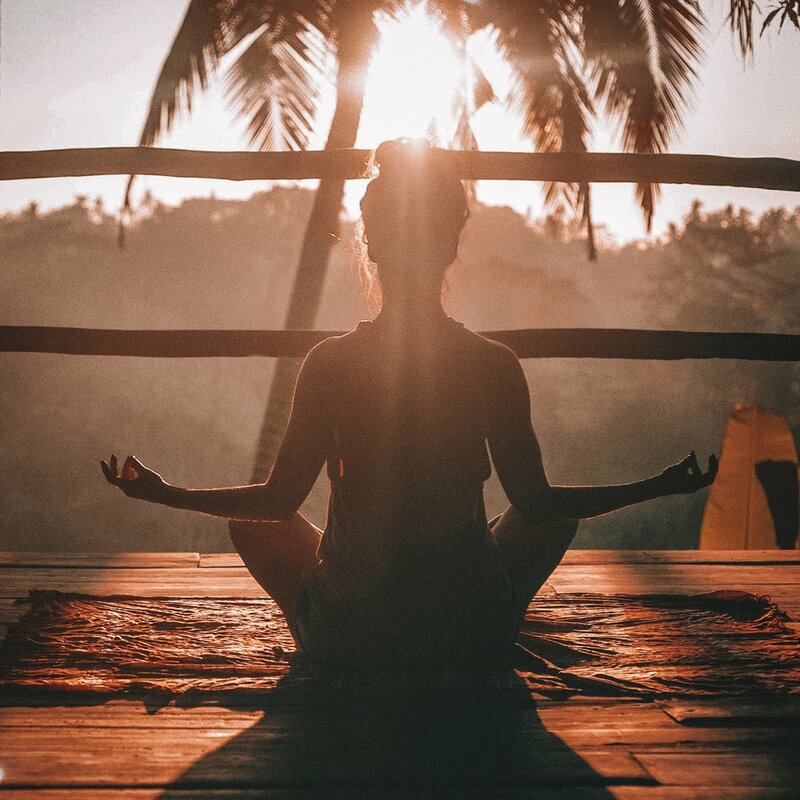 Each week, Dr. Spragg will share a different type of meditation practice so that at the conclusion of the series, you will have a host of meditation practices in your wellness repertoire. When we start the session with meditation, we transition from engaging as a "human doing" and re-center ourselves as a human being. Meditating at the outset allows us to show up in the circle with more presence for ourselves and others. In the circle, we let go of the familiar patterns of small talk so that we can embrace the precious and life-inspiring "big talk." Each week, we consider a reality of the human experience to guide our exploration. Topics include: change, courage, death, authenticity, fear, etc. We practice principles that allow us to connect with ourselves and others with safety, honesty, intimacy, and authenticity. We speak from the “I” place, from our direct experiences and refrain from advice-giving, rescuing, or speaking for you. We let the silence reside. We express gratitude for the diverse ways in which we make meaning and connect with our spirits. We acknowledge our shared humanity offered in the circle as it reminds us that we are securely held in the circle of life. To allow our centering and exploration work to integrate and leave a lasting resonance, we seal each session with a half-hour of restorative yoga. This practice relies on the use of props and the prolonged holding of a few gentle poses to beckon deep relaxation and mitigate the effects of the regular fight-or-flight stress response. The practice of restorative yoga often leads to a transcendent experience of deep oneness with the universal level of consciousness. As we move from a wakeful state into the silent spaces between thoughts, we are privileged to catch glimpses of our Self. This is exactly what I'm looking for. What are my next steps? In order to create a safe and consistent environment, participants are strongly encouraged to carve out space to attend all 12 sessions. This is a closed group, meaning that we start and end our journey with the same women. If we have more interest than spaces available, the remaining women will be offered a spot at the top of the waitlist for the next Women's Circle. You do not need prior experience with meditation, circle work, or yoga. Simply dress in comfortable clothing each week and all other materials are provided for you. There are several investment options to make the Circle accessible to those who know that participating in the group is in their best interest. Option 1: Pay in advance for the entire 3 month / 12-session series (90-minute sessions) = $600. Receive a complementary 1:1 individual session with Dr. Spragg (valued at $140.00). Your investment also supports the participation of women who need financial assistance at this time, ensuring an inclusive and diversely representative circle. Option 2: Pay as you go: $50.00 per session. Your investment also supports the participation of women who need financial assistance at this time, ensuring an inclusive and diversely representative circle. Option 3: Want to receive a 10% discount? Sign up with a friend and you both receive a 10% discount! Total for the series is reduced from $600 to $540. Can be paid in full at start of group or split into 3 monthly payments of $180. Option 4: If you find the financial investment to be prohibitive to you at this time, you may elect to pay a reduced fee of $35.00 per session. The aim of this circle is to be healing and inclusive, please inquire about this option if it serves you. * All investment options require payment for each session, the series is not pro-rated for missed sessions. This photo was taken in Tuolomne Meadows in Yosemite, a place filled with spirit! I'm smiling because my daughter was petitioning for yet another piece of dark chocolate... My soul smiles in this same way when getting to do magical women's work! Reach out and let me know that you'd like for me to reserve a spot for you. This group is expected to reach capacity. Sign up with your email address to receive news and updates from Dr. Spragg.